The second semi-finals had some surprises in store for the market: as tipped in my preview article, Slovenia managed to qualify despite their gimmicky pretended technical failure, at the expense of among others market darlings Poland. Another complete shock (for me too, I'll willingly admit) was the advancement of Serbia's ethno-inspired and imaginatively staged act. This year's outright market has been a real rollercoaster ride with plenty of trading opportunities for those with a knack for market timing. If you're now hoping for bold calls on who will win tonight - or perhaps even a full podium prediction - I'm afraid I'll have to disappoint you. However, I will discuss the three entries at the top of the market in turn, before finishing with a couple of punts that I see as value. Having traded as high as [400.0], many were blown away already at their first rehearsal as they revealed a fittingly fiery staging and choreography for their song "Fuego", and the price promptly dropped to around [40.0]. After that it shortened steadily during rehearsal week as more traders wanted in, while others remained sceptical as the obvious fan-pleasing nature of the entry could result in a bias in the market. Most doubters were seemingly won over, however, after the jury rehearsal before the first semi-final, when Albanian-born singer Eleni Foureria put in a very convincing performance. At that point, the international pop star feel made it clear that even juries would find it hard to dismiss the entry as lightweight average composition notwithstanding. Cyprus could also very well be helped by the fact that Greece didn't make it to the final, and that Foureria is a well-known star in Greece. With a bit of luck, this could bring in extra votes from the widespread diaspora. Together with the very strong charting, this indicates a very strong televote result. A very different development than Cyprus', Israel's price crashed immediately upon song release. After the announcement that Netta Barzilai had been internally selected to represent the country, the market seems carefully optimistic that she would at least bring something interesting: her trademark instrument is a so-called "looper", that allows for recording vocals which are then replayed on loop as a kind of backing track. The song "Toy" leaked the evening before the official release, and while probably marmite, the overwhelming assessment was that of roaring approval. It didn't take long for the price to come down to [2.50], although it has since drifted back some during rehearsals. A worry is that the live presentation may not quite have managed to recreate the fun atmosphere on display in the hugely popular music video. Still, Netta is a charming woman and will no doubt grab the attention of viewers at home. To what extent juries will go for this quite wild number is anyone's guess, but at least they should appreciate the great vocals and competent composition. Another market springer, Ireland's Ryan O'Shaughnessy was considered very unlikely to even qualify, but proved doubters wrong with his crystal-clear vocals and romantic staging. 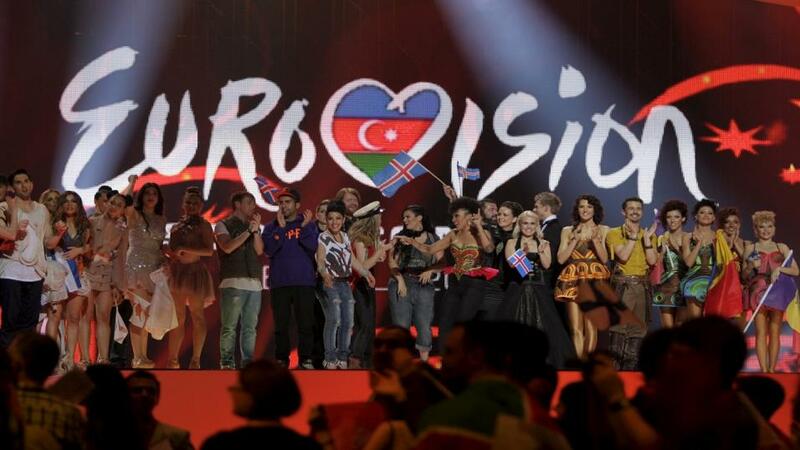 It was only a few days later, however, that the crash in the outright price happened: EBU had stripped a Chinese TV-station of their rights to broadcast Eurovision, as they among other things had censored Ireland's performance due to the male dancer couple. The assumption is of course that the international press coverage would get the ball rolling, and focus viewers' attention on and raise sympathy for the entry. To what extent this will come to pass remains to be seen, but it is my view that the market price here is too low, and that this likely is due to a very big influx of Irish punters' money during the recent couple of days. It's very competently performed and presented, but we shouldn't forget that this was considered a no-hoper on song release. This was due to the composition just not being that strong, and this still holds true. For me it's unlikely to finish at the top of the scoreboard. Undeterred (and perhaps a bit stubborn), I can't resist having another go at opposing Finland. My previous attempt recommended here backfired spectacularly, but at least it proved correct insofar as the qualification odds shortening drastically when Saara Aalto started performing. My feeling is that this will happen again, and that we should be able to lay Finland at near evens in the Top 10 market which in my view simply has to be value in that case. Saara performed very well for the juries last night again, but the bar for making the top 10 is considerably higher than qualification. Having previously mostly been a backing singer, Austria's Cesár Sampson may be a newcomer to the front of the stage, but his vocals are very strong. He sometimes moves quite amateurish, but it's my hope that juries will be willing to overlook that due to composition strength and grand staging. On the televote side, the draw of fifth slot in the running order is far from ideal, and Austria hardly boasts any inherent voting strength. Nonetheless, the song has charted well and seems to have found an audience. In combination, this should be enough to have a very good chance at the top 15, making the current price of around [1.60] look like value. There also room for a long-shot in the portfolio: the Netherlands is trading at around [8.0] for top 10, which I see as being worth a punt. Waylon owned the stage with his usual confident self yesterday, and there's really no telling whether juries will see his four krumping dancers as too crazy or just the right level of avant-garde. I'm not writing off the possibility of the latter, and go for a value bet here.